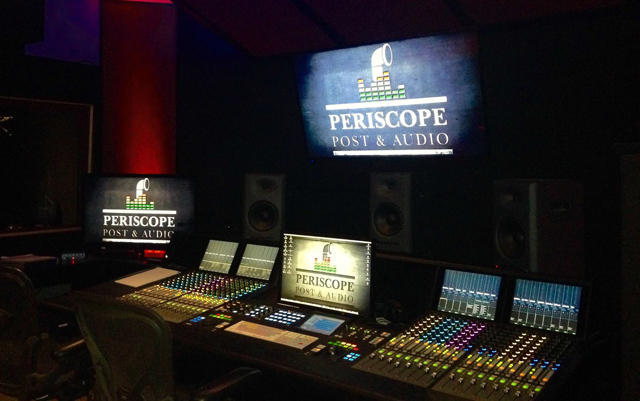 Periscope is part of the 50 acre campus which also encompasses Cinespace Studios. The Chicago-based film and television complex. once a steel plant, is now home to the hottest network and cable television series, including “Empire.” Periscope Post & Audio has been instrumental in providing services for these shows, complete production elements like the “dailies” overview (looking at footage that was filmed that day), expert color correction and editing, in addition to sound services like design, audio mixing. voiceover and ADR (Additional Dialogue recording). Michael Nehs is the man on the scene, building the company from the ground up. 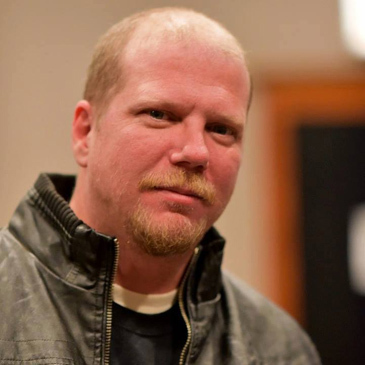 He sat down with HollywoodChicago.com for a comprehensive interview regarding TV, film and post production in the Windy City. HollywoodChicago.com: The first thing I want to talk about is your current expansion, specifically where you were at, and where you are now? Michael Nehs: When we first started, our first location was at Chicago Studio City for the show ‘Betrayal.’ It was two small offices, where I cut a hole in the wall for window. We were simultaneously building out this space, which we outfitted with this audio space, a dailies room and a small color correction/editing suite set up. We added the TV shows ‘Crisis,’ ‘Mind Games,’ dailies for ‘Sirens’ – seasons one and two – and some independent films here and there. We started looking for other spaces on the Cinespace lot, but it turned out this floor turned out to be the best fit all along. So with our new plans, we’re going from 1800 square feet to 7000 square feet. HollywoodChicago.com: What is the origin of the company? And what niche did you recognize in the marketplace that you knew you could fulfill? Nehs: I started looking at doing a post house in 2008. I was in production, and had produced a couple features. I was hearing that Chicago had all kind of post houses for commercials, but none for features and television. And I said, ‘what if I build it?’ I was in mid-construction for that post house when the economy crashed, which took everything from me. I then met Jonathan Bross and he owned a production company called Velvet Steamroller, which was eventually bought out. He was spending time between Chicago and Los Angeles, and we sat down with the same idea about post production. We started it again at ground zero in 2012, and met with Cinespace, with five other post production houses competing against us. We were the only one of the five that offered full post production – from dailies to delivery. We opened on August 26th, 2012. HollywoodChicago.com: You’ve got quite an impressive list of clients at the present time. What are your top clients right now, and what specific services are you giving them? 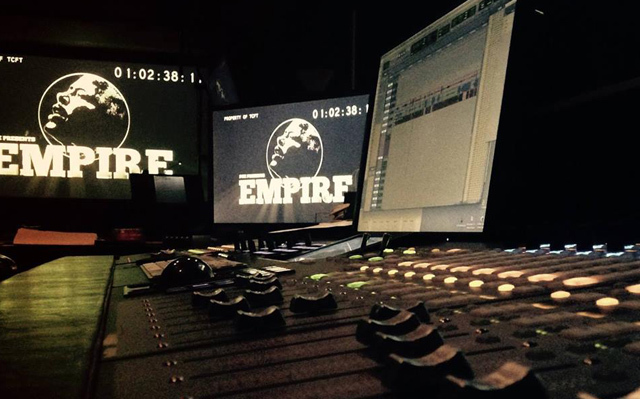 Nehs: ‘Empire’ is number one. We do all the vocal tracking for the show, for all the actors and music producers. We library all the music for the show, a service for the FOX Network, and we do all the show’s ADR – pretty much what FOX brings to town, we do ADR. We’ve also just came off of an independent film called ‘The Head Thieves’ directed by Mike Hermosa, which was actually shot in Los Angeles. We did post on everything except the main cut. HollywoodChicago.com: Not only do you provide post production and audio services, you also can provide clients with extras that set you apart – like a walk through the maze of the film and TV tax credits for production. How did those “extras” philosophy develop in your business plan? Nehs: Jonathan comes from a financial background. I come from a production and post background. When we were talking to potential clients many of their questions had to do with trying to find someone who knew the tax situation. I was the second VP of the Illinois Tax Alliance when the production credit was written. I was familiar with it. Jonathan and I discussed it, met with the Chicago Film Office, and decided what we could do it was to start a financing branch, which monetizes that tax credit, as a guarantee for the financing coming in – we’re actually putting money out against their tax credit. The deals, of course, are different for every client. HollywoodChicago.com: With the advent of digital technology and the internet, the recording, post-production and overall entertainment industry has changed profoundly. What has been the advantage of this revolution and in what area has it made less than a positive impact? Nehs: The streamlining of work worldwide has been the biggest advantage. There is no longer the shipping of video, audio or film reels. Digital download is now being done in terabytes. Even if we have a client that it’s recording in London, we can do post here after they send over the audio files. We still have an ISDN [for digital transmissions of dialogue, etc.] line, and clients can use it with their ISDN, or dial in and listen in. The only less-than-positive side I see is there are a lot of people trying to do things in their basement. Many things can be done there, but there are many songs out there that have never been mastered. That means there is so much product being pushed out, that it devalues artists who actually take the time to record it right in a studio. HollywoodChicago.com: In a a competitive field, you have gained a impressive foothold. What are the keys to remaining relevant in your business? Nehs: The works speaks for itself, and that gets put out there every time a TV episode we’ve done is over the air. I attend a lot of post production networking, including an invite-only event at Warner Brothers in Los Angeles. There was a post supervisor who does all their high end features, having lunch with a friend of mine, who edited all the ‘Pirates of the Caribbean.’ The Warner producer told him that he was told that if he needed any post production in Chicago, to see Mike at Periscope. My friend was amazed, and told him yes, that’s who you go to – so in the end it’s important to stay in front of people, it’s a relationship game. HollywoodChicago.com: You have an in-house composer, and I assume he can provide scores that once took orchestras to reproduce. How do you think this helps the feel and emotion of current productions? Nehs: First, we’d still like to do symphonies. [laughs] I’m still old school on that, and we do bring in live musicians. But to give you an example of the current environment, last week we had a song for ‘Empire,’ that they wanted an orchestra build behind it. I called my composer Carlos VillaLobos, and asked him if we could do it. He asked me how much time we had, and I said, ‘hours.’ He put together a background score on top of their ProTools session. The producer here went through it, and told us, ‘Perfect.’ It’s a timing thing, mostly. The plug-ins are really good now, even though they’re not quite to symphony level. HollywoodChicago.com: Let’s talk about the impact of the Cinespace studio complex and your presence here. What do you think people don’t know about the potential of the campus, and what is happening out here? Nehs: It’s interesting to me. [Cinespace founder] Nick Mirkopoulos came to Chicago from Toronto, took over the old Ryerson Steel complex, and built the stages here. He loved Chicago, because of what it had to offer. Many people don’t know that it’s here, and that is sad to me. It’s a 50 acre complex that is adding more stages as we speak. They have generated thousands of jobs since they’ve been hear since 2011, over 5000 thousand crew jobs, and built this industry up. We have everything here, with most if not all elements of production now in place, we have a strong infrastructure. You don’t have to leave the lot or go elsewhere, everything you need is here. HollywoodChicago.com: Currently, the state of Illinois is in a budget battle, which threatens the tax credit which revitalized the Chicago film scene. Since your business is tied to these tax incentives, what is your counter argument for maintaining the benefit? Nehs: Looking at the real numbers, the amount of revenue that is generated from a 30% tax incentive, is not just about the production budgets, but also about the people they fly into here, the hotels they stay in, the restaurants they go to and the caterers that are hired. This all generates revenue, and generates taxes based on that revenue. So you have people employed, the unions and non-union projects are working, with no conflict, because there is work. The industry is generating income and jobs, so to go after them doesn’t seem right to me. I just think you don’t go after something that employs people who live here. They have to use local crews to qualify for the tax credit – the incentive is to hire locally. It doesn’t make sense to go after jobs that are already in place, jobs that generate more revenue and taxes for the city and state economies. HollywoodChicago.com: The science and technology advances of audio and post production is as fascinating as the atmosphere of creativity itself. Which tool do you think is evolving the fastest and how do you think it will change the business? Nehs: The debate currently is about the saturation of 4K, 5K and 6K digital image platforms. There is even an 8K. Of course, the manufacturers push for it, because we buy new gear. The reality is that the human eye can only perceive so much, and 4K is doing a great job right now. This upward stream is getting a bit ridiculous, it becomes only about format. HollywoodChicago.com: Finally, what film or piece of audio art inspires you to the point that you think about it every time you have a creative dilemma, and what about the impact of that work makes you realize that there is always a solution to any dilemma? Nehs: When it comes to music, I’m an old metal head, like Black Sabbath, Iron Maiden, Judas Priest, Anthrax and Slayer. But I also have a huge classical collection. I listen to a lot of soundtracks, especially the original ‘The Omen’ movie, it’s ebbs and flows operatically. I also listen to a lot of scores, especially from our composer, because it motivates me. For more information on Periscope Post & Audio, click here. Submitted by Joe Orlandino (not verified) on August 5, 2015 - 4:22pm. Submitted by Martin Nelson (not verified) on August 6, 2015 - 9:54am. This is really all very exciting. But how do we get more of the editing to stay here? This city is full of talent in every area including ‘main cut’ editing. Directors are in town for weeks at a time; if the cutting happened here, not only would it be, in many ways, more convenient during production, it would bring more long-term work to Chicago. An editor in a dark room doesn’t make the sort of press that crews on the street and celebrities in restaurants do, but it’s a steady work stream and we have what it takes right here.